Large duplex apartment with 1.5 bathrooms, huge finished basement with windows included in this rental! 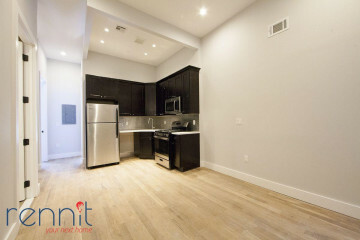 Great Location: Walking distance to East Williamsburg, Bushwick and Ridgewood! - Close to plenty on incredible cafes, restaurants of all kinds, numerous shopping options, bars and nightlife right around the corner along with tons of Bushwick Art and hotspots!! Hardwood floors, Central air and heat, Video intercom system, Modern kitchen with stainless steal kitchen appliances includes microwave and dishwasher, in building laundry room.